Does not play by the rule of you get what you pay for. You can look, but you simply won't find a better value in the Hydro drive walk-behind category than the fixed-deck Viking. 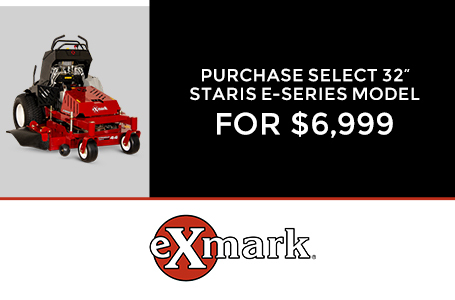 Exmark's® patented Hydro Quick Track Adjustment allows easy and fast adjustments without tools. 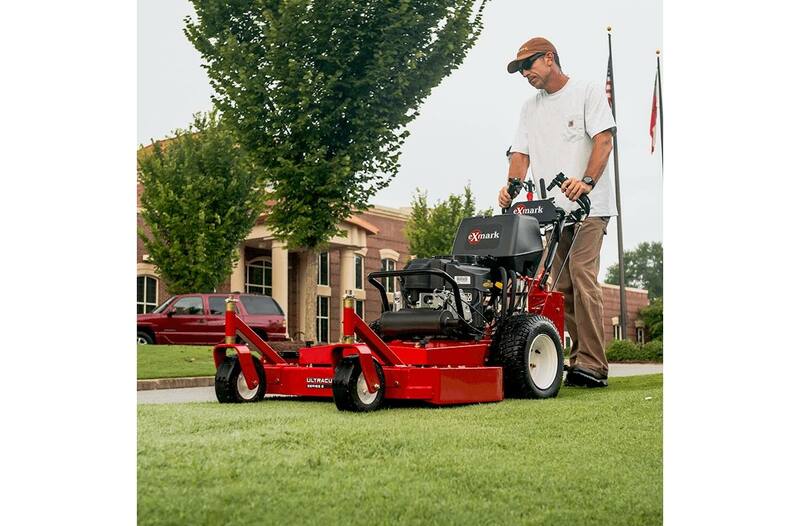 Our patented flow control baffles deliver an unsurpassed cut. And you'll feel the difference our patented Enhanced Control System (ECS) makes after a long, and very productive, day. 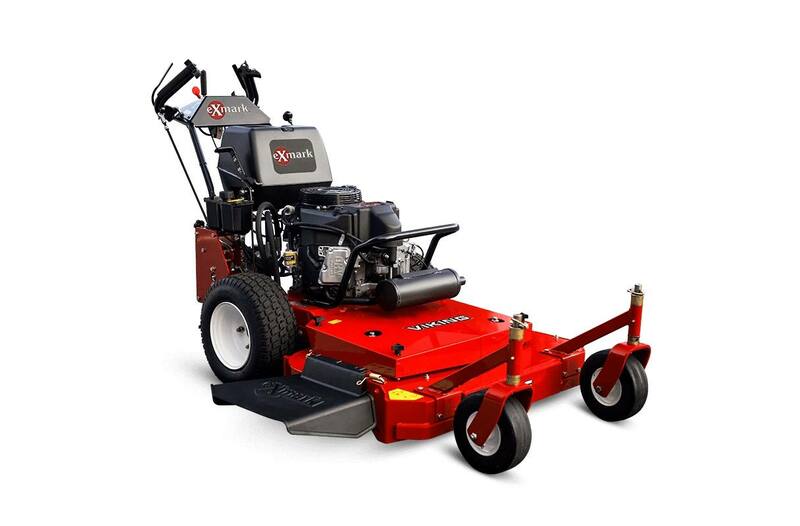 Simply put, the Viking is the mower of choice for professionals who want Hydro walk-behind performance combined with the value of a fixed deck design. Available with 36 or 48 inch cutting decks. 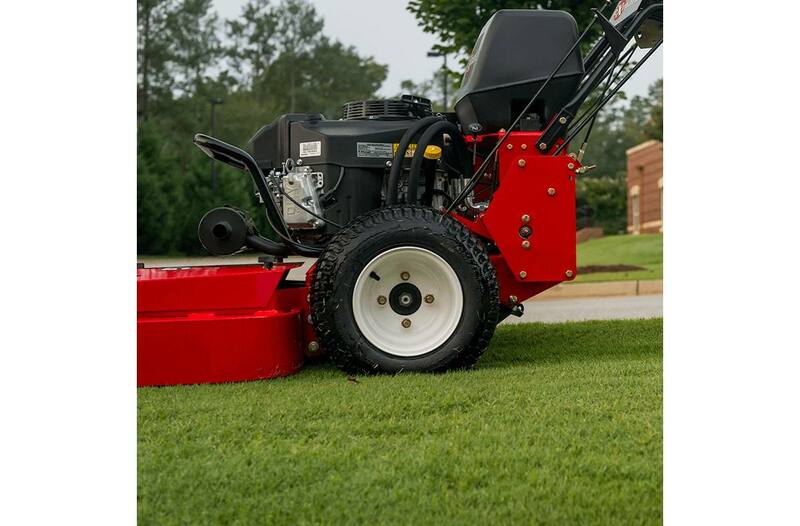 Deck Options: With the Viking, you can choose either a 36-inch UltraCut™ Series 2 or 48-inch UltraCut Series 3 cutting deck. Enhanced Control System: Our patented ECS puts the operator's hands in a natural, neutral position to help reduce fatigue. High-Clearance Deck: The high-clearance, well-balanced decks make curb climbing and trailering easy. 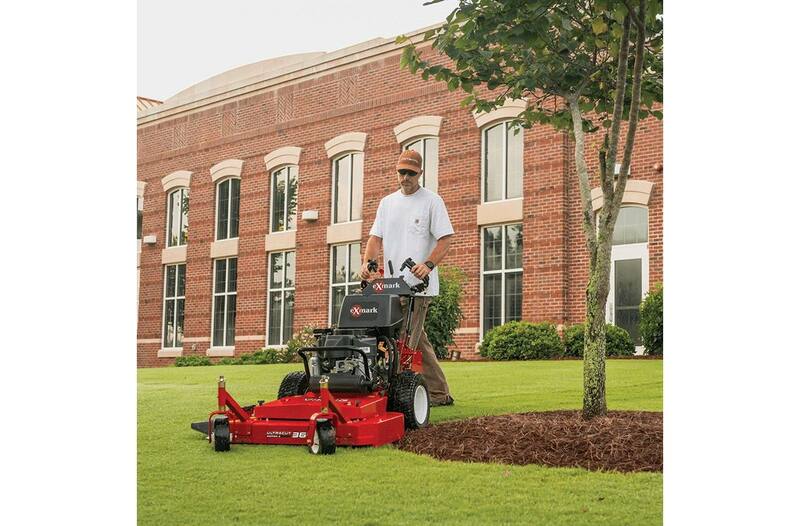 Operator-Friendly: Instant forward-to-reverse with infinite speed control makes the hydro-drive Viking easy to operate. And with speeds up to 6.2 mph and 2.2 in reverse. Electrical: No battery, recoil start. PTO Engagement: Mechanical blade engagement with blade brake. Deck Lift: Manual blade spacer, front caster spacer and axle position adjustment. 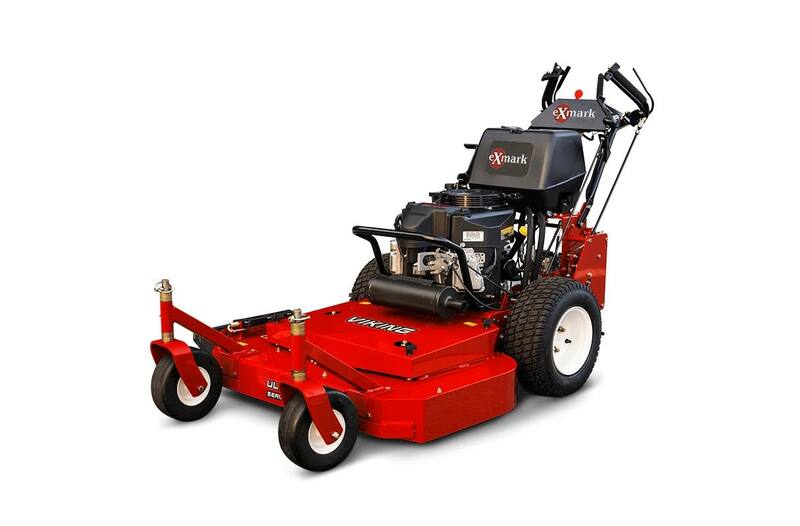 Deck Style Description: Fixed Ultracut Series 2, side discharge standard, with molded discharge chute and option to bag or mulch. Width / Cutting Deck: 36"
Cutting Heights: 1.0" (2.5 cm) to 4.25" (10.8 cm) in 0.25" (0.64 cm) increments. Blade Spindles: No maintenance, sealed and non-greasable spindles; 5.40"-diameter cutter housing and 1.0" diameter spindle tube.